When participating in a Placement, candidates are often required to complete journal entries to track their hours and activities. In some cases, the school might require that their stakeholder (guest/supervisor/site supervisor/cooperating teacher/etc.) sign-off on the hours entered. 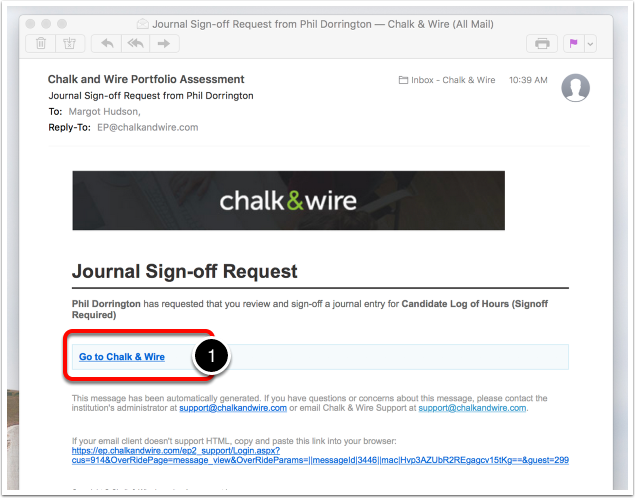 When a student has entered hours in their journal for you to sign-off on, you will receive an email notification from Chalk & Wire/CWPro. 1. Use the Go to Chalk & Wire link to access your Chalk & Wire/CWPro account. The login screen that you see will only require an email address. You do not require a password. 2. 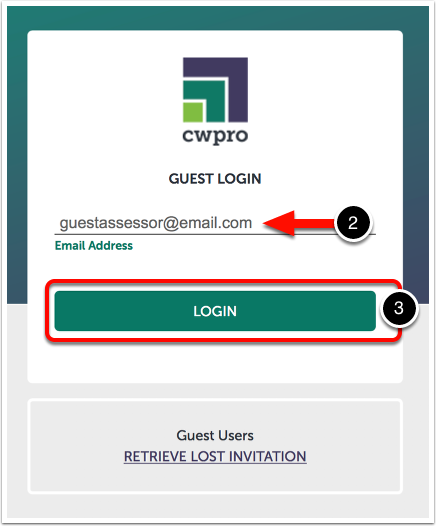 Enter the Email Address that is associated with your Chalk & Wire/CWPro account. This is the email address at which you received the email from the system. Do you have email forwarding on? Make sure that the email address entered is the email associated with your account. If you have mail forwarding set up, you might receive the email in an unexpected inbox. Make sure to double-check on the email the address to which it was sent. The email that you received from Chalk & Wire/CWPro will also appear as a notification in your account. This will be the first screen that you see upon login. 4. Locate the appropriate system notification and click on it to access the message within. A summary of the request will appear on-screen. 5. Click on the Sign Off button. 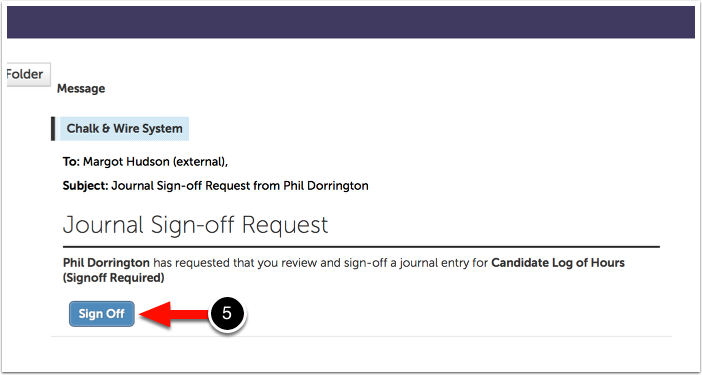 All entries that require sign-off will appear on your screen, including the one that you for which you have just received a notification. 6. Review all of the entires and click on the Sign button if you agree with the contents.